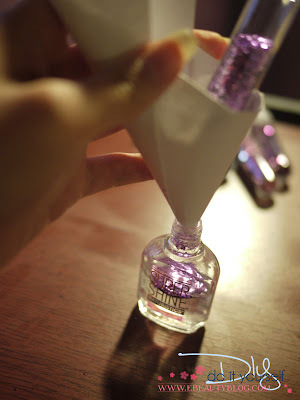 Here's a tutorial on how to turn any nail polish into a "glitter" nail polish. 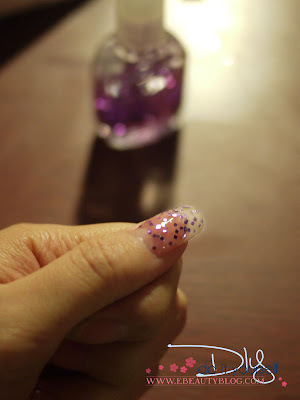 This is super quick to do and the result is exactly like the glitter nail polish that you'd get at the stores. Ah, you've discovered the heart of polish frankening. One word of caution- not all glitters work. The color coating that makes different glitters different colors sometimes dissolves from the acetates in polish. 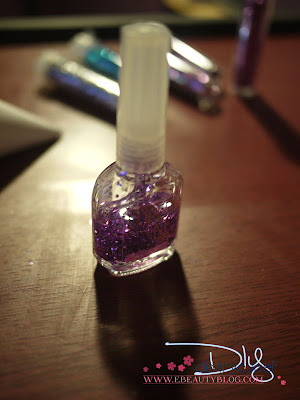 It's a good idea to have a cheap "test" bottle before dumping a lot of glitter in a nice polish! fun and easy! thanks for the tutorial! I'm going to try this soon! Nice tutorial! SO easy to do. I can't believe I didn't think of this!! DUH! who hasn't thought of this already.. This is so creative, I can't wait to try it out!! You don't people hugs and kisses unless u no them!!!! oie.. sou do rio grande do sul no brasil!! amomuito os seus tutoriais. parabéns além de talentosa vocÊ é muito bonita. It's wrote in french (I'm from Paris), but you can translate it into English by clicking on "if you don't speak french"on the top of the homepage. Hope you'll enjoy it I much as I enjoy your blog ! Glitters usually sink in clear, suspension base is better, and only use glitters that are solvent resistant. Absolutely amazing!!! Can't wait to try it. 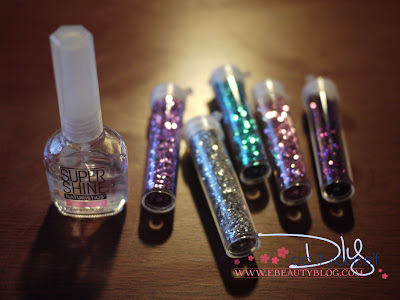 Just a tip, do NOT use Dollar Tree glitter for this, I tried with two different clear nail polishes and all of the color faded off the glitter and turned the polish a nasty shade. I can't wait to try it with another type of glitter! 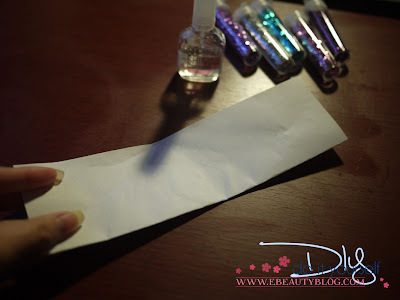 If you use a plain clear polish (as suggested in this post), all the glitter will sink and stick to the bottom within a day or two, rendering the polish useless. For this to actually work you will need a "suspension base" polish. Also, as a previous commenter mentioned, regular craft store glitter will very likely not work. 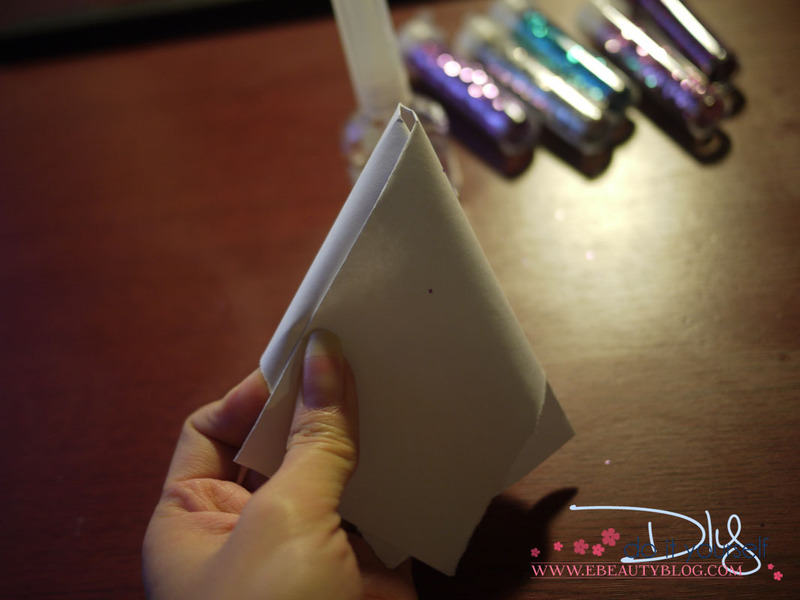 The glitter needs to be polyester or solvent-resistant, otherwise the glitter will dissolve, lose its color, curl up, or some combination of the three. I'm disappointed to have found so much false information in one post. Umm if you read correctly the post definitely said use suspension base and polyester glitter.